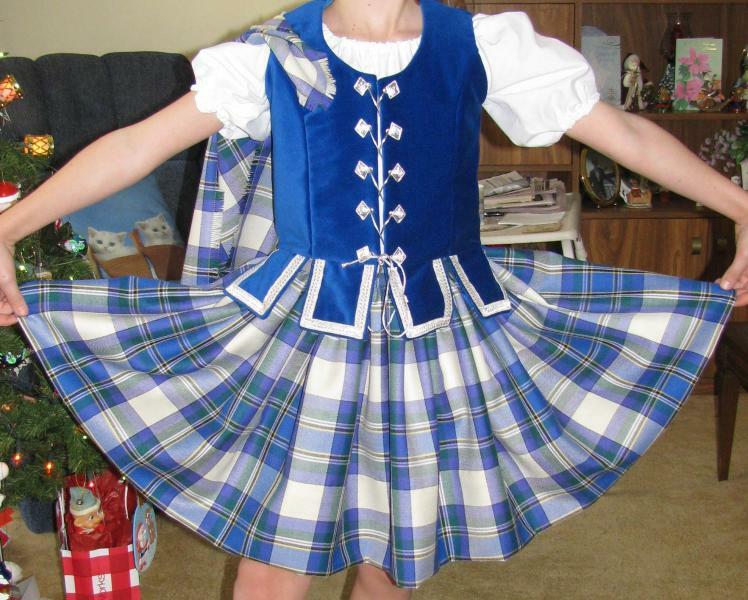 dance.net - Beautiful Dress Royal MacBeth Aboyne for Sale - suitable for young Premier dancer (10244615) - Read article: Ballet, Jazz, Modern, Hip Hop, Tap, Irish, Disco, Twirling, Cheer: Photos, Chat, Games, Jobs, Events! An almost brand new aboyne - only worn 3 or 4 times. Buttons and braid are bright and shiny silver. Smoke and pet free home. Beautifully made! Paid over $500 new. Width at chest = 28"
Asking $300 US plus shipping paid by buyer. Will have this outfit at Queen Mary in February, or willing to bring to other competition for a try on.